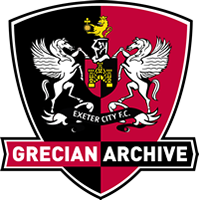 ECFC have had some great sides in the course of our history. However, only one team can claim to have got their hands on a championship medal - the Barclays Division Four Champions of 1989/90. Managed by Terry Cooper, and captained by Shaun Taylor, this particular City side played 63 games in nine and a half exhilarating months, never loosing a single game at home, and scoring 111 goals in all competitions. It was goals from all over the park that set this team apart, with contributions from all areas of the playing staff. The most notable of these scorers were Darran Rowbotham and Steve Neville who, in a stellar partnership, accounted for almost half of Citys goal tally; a feat which saw them join Taylor, Danny Bailey, and Scott Hiley in the PFA Fourth Division team of the year. Not only were they excellent in the league, but they also produced some big performances in the major cups. First they almost reached the League Cup quarterfinals, only to be halted by top flight Sunderland, before then narrowly missing out to top-level opposition, Norwich City after a replay in the 3rd round of the FA Cup. ECFC Players 1989/90 season: Miller, Walter, Hiley, Vinnicombe, McPherson, Taylor, McNichol, Rogers, Bailey, Whitehead, Benjamin, Cooper, Batty, Kelly, McDermott, Dryden, Rowbotham, Neville, Young, Horrower, Rowe, Frankland, Eshelby.